Capital Finance International (CFI) a print journal and online resource reporting on business, economics and finance, awarded CORE Securities, a leading Tanzanian stockbroker, the title of Best Advisory Brokerage, East Africa, 2013. 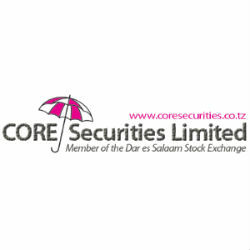 CORE Securities Limited was first licensed by the Tanzanian Capital Markets and Securities Authority (CMSA) as “Investment Advisor’ on 2nd March 1998. On 1st July 1999, the Company was given the coveted stock broking license for “dealing in securities’ and was simultaneously admitted as a Licensed Dealing Member of the Dar es Salaam Stock Exchange, number D-007, on 20, July 1999. Its core business is to deal in securities, which includes the provision of advisory services and the development of innovative products that enhance overall vibrancy of capital markets in Tanzania and across the Region. George Fumbuka, CEO of CORE Securities corresponded with TanzaniaInvest.com regarding the award: “We stubbornly insist on quality and try to avoid shortcuts whenever we can. We have found that discerning Clients always go for quality of the advise given – all we are doing is to put ourselves in their shoes. This means, at least Initially, overlooking the bottom line in pursuit of quality staff and systems.